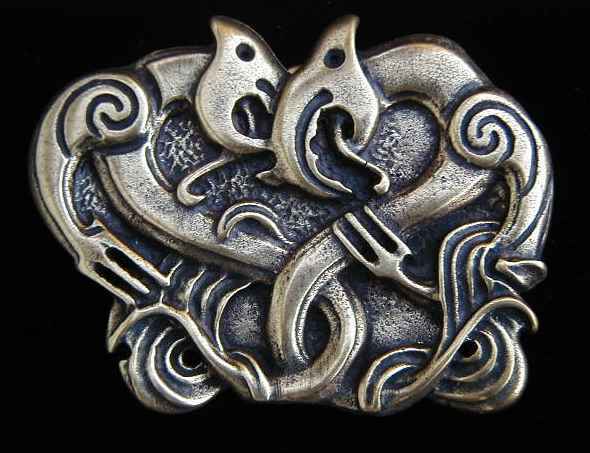 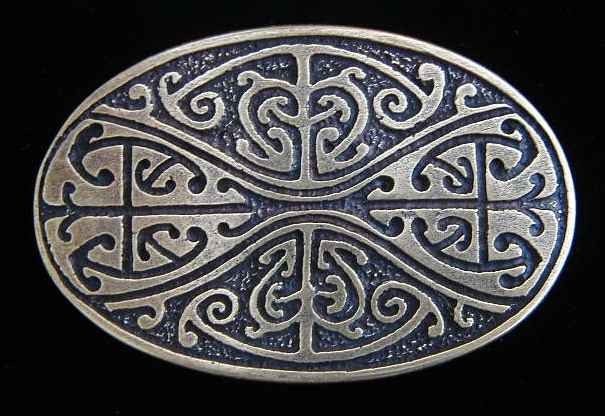 All Maori belt buckles are zinc with a heavy antique brass plate. 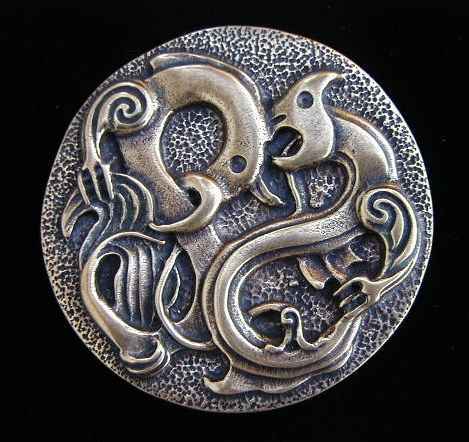 Designs created by renowned Maori artist Malcolm Adams. 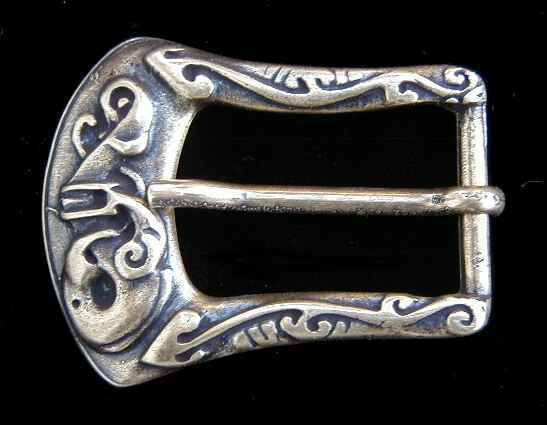 2 3/4" by 2 1/8"
2 1/4" by 1 3/4"